Sure, they're functional. 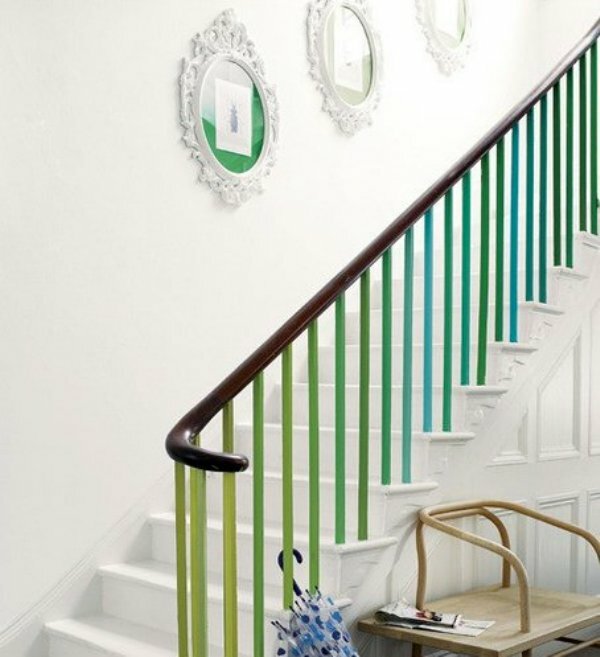 But staircases can also be hip. Like powder rooms and walk in closets, staircases are small spaces, which makes them ideal candidates for bold decor So be brave! And, to be inspired, read on. I love this runner above. It's rustic and classic all at once, and serves as a great focal point to a neutral room. These snazzy stripes? 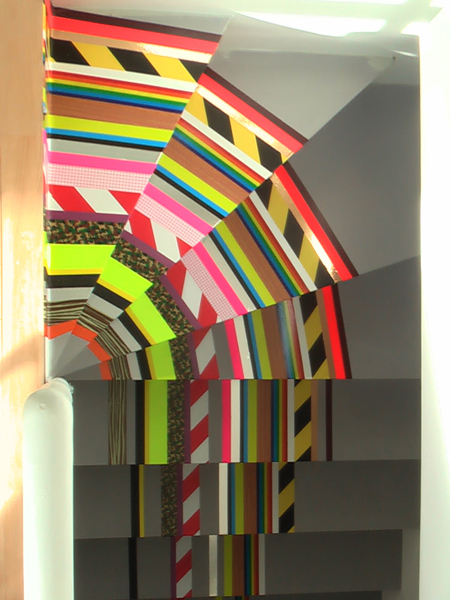 They're made with tape, by artist Pascal Anson. Ah, ombre. So appealing in blues and greens. A riot of pattern, yes. 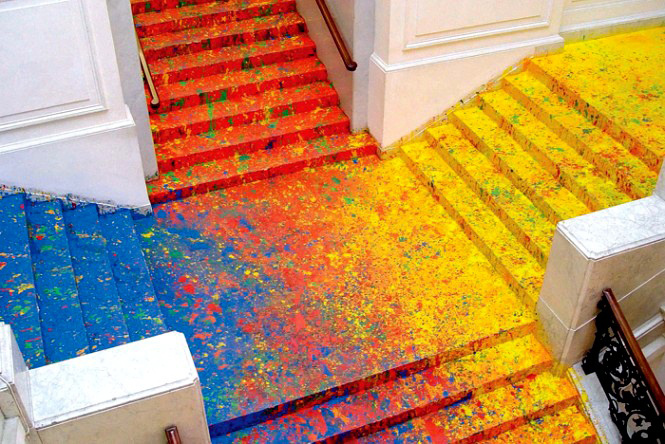 But the monochromatic palette keeps this staircase tasteful. I love this striped detailing on the stair edges. And the pink, black and white are classic prep. Here stripes turn nautical, just by virtue of a change of placement and color. I'm also a fan of these cloth covered stairs in clothing designer Tracy Reese's home. She fashioned a makeshift runner by wrapping a piece of fabric around each step and attaching it with velcro on the underside. It's a clever way to decorate a floating staircase, which can be tricky, and the method allows her to remove the fabric for washing, too. I love this twist on the classic black and white. It's rather unusual to paint the spindles to match the treads, but it works really well here. And I end with this installation by artist Leon Tarasewicz in Warsaw's Zacheta Gallery. This idea could work fantastically well for the juncture between a stairway and a particularly bold downstairs rec room. You know your kids would adore it, and it would probably be the most fun you'd ever have painting your home. And there's no doubt that your stairs would be the brightest ones on the block!